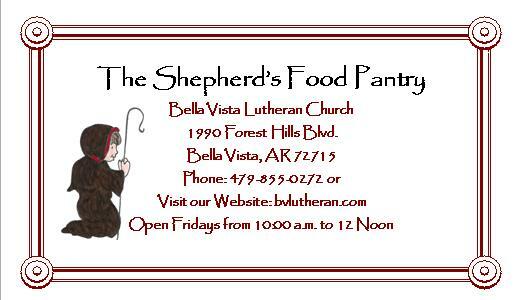 The mission of The Shepherd’s Food Pantry is to provide the love and compassion of Jesus Christ by providing food to the hungry and needy. This is accomplished by identifying needs. The services are provided without discrimination. It is our hope that those who receive food will be strengthened in body and soul.